The indie boom of recent years has opened the doors for smaller studios to swoop in to the weird and wonderful spaces once occupied by the vibrant but now tragically dormant gems that larger studios were willing to take creative gambles on. Farewell Advance Wars, and hello WarGroove. Sayonara WipeOut, and Konichiwa, FAST. Aloha, ChuChu Rocket!, and – erm – Aloha, BlobCat. BySamb’s BlobCat hews close to the same formula cooked up by Yuji Naka and Sonic Team – which we lost all of our friends over in 1999 – down to the structure of the single-player campaign being a series of strategic puzzles and the multiplayer suite a bundle of frenetic real-time versus modes sure to make Bert and Ernie bring out the knives. The formula is such: guide a bunch of helpless mice to safety by strategically placing arrows on the playing field, all the while avoiding the cat menace roaming around. Mice and cats both move forward on their own volition (the mice are a little speedier), and when they hit an arrow turn in whatever the cardinal direction it points in. If anyone hits a wall, they turn right and proceed. Playing with two Joy-Cons, the left stick controls the cursor and tilting the right stick will place an arrow under the cursor pointing in the same cardinal direction. Using one Joy-Con on its side has you placing arrows with the face buttons. So far, so ChuChu. 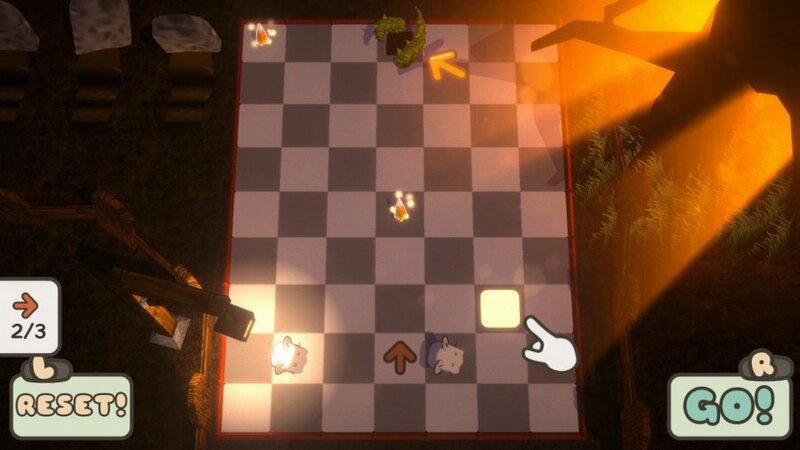 The single-player mode is a collection of 120 puzzles across 6 worlds, with each stage taking a “wind-up” approach: you’re free to tinker and tailor for as long as you’d like while everything stands still, and then tap ‘R’ to set everything in motion. If (and when) something goes haywire, simply reset the board and iterate from there. 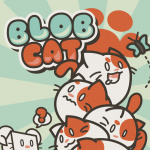 BlobCat does throw in a few new twists of its own over Team Sonic’s title. 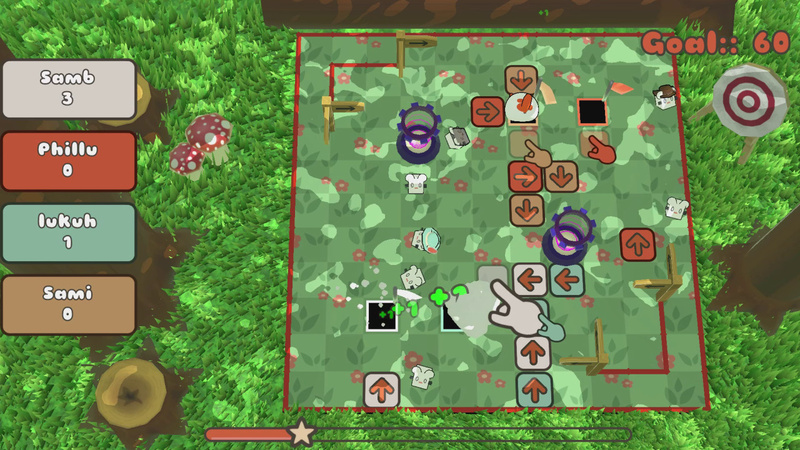 Each single-player world has a unique obstacle on the playing field that can manipulate the board or must be puzzled around. The “Space” world, for example, has floor switches that open doors, and the “Wild West” world has minecarts on tracks you can push around to block or aid the critters. In the early stages of each world you may not actually need to use these obstacles, but over time their strategic import becomes critical. 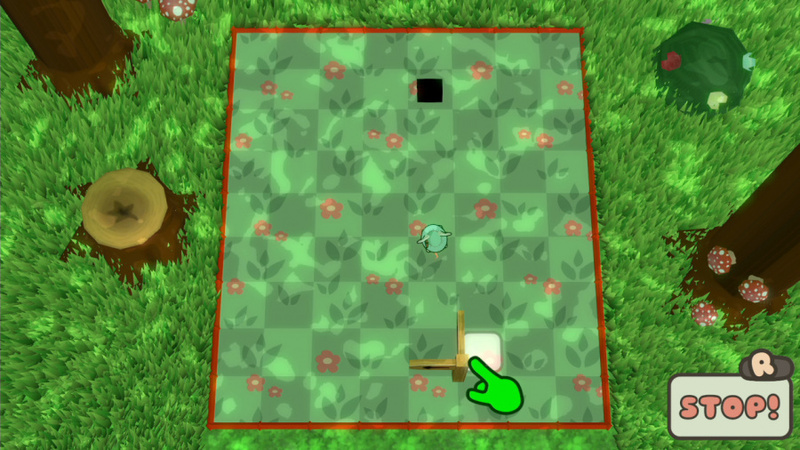 These little tricks help BlobCat’s gameplay at least feel like it’s trying to advance the ChuChu Rocket! formula and give the game a bit of its own sense of identity. Other areas of modernization are in the realms of presentation and rewards, although the jury’s out on whether these are appealing. BlobCat has the same chunky presentation as any number of popular mobile games, seemingly built for thick fingers tapping on tiny touch screens — which, you know, is fine for what it is, but our irks here are two-fold. One is that you can’t actually touch to navigate in handheld mode. The other is that the menus behave inconsistently from screen to screen. Sometimes you can press ‘B’ to return to a previous menu, but not always! Other times you have to select and press the X icon — like closing a pop-up — but not always! BlobCat’s orientation is maddeningly inconsistent, which casts a rough shadow over the rest of the package. A later patch might iron these things out, but players now will just have to deal. Mobile gaming’s favourite three-star stage completion rewards are used here, with stars doled out in the solo mode based on how many arrows you ended up using in the stage. Securing 20 stars unlocks the next world of (usually) 20 stages, any of which can be played in whatever order you choose. Just skip a stage if you’re stuck. Skilled players can actually end up unlocking a good chunk of the game by acing the first world — this is one modernization that we’re cool with, since it means you have more freedom to jump around and advance all the same without having to plod through parts you’re not as interested in. Or simply stuck on — latter halves of worlds have some pretty tricky brain benders, and there’s no shame in coming back later with fresh eyes. If you click well with the type of spatial thinking BlobCat requires then the solo mode can be clocked in a couple of hours on a first brush through — longer if it’s tricky or if you’re going for three-star perfection. There’s no stage creator or anything like that to keep the puzzle portion going, so what you see is what you get. Multiplayer is a real-time battle royale: hundreds of mice drop onto the board, and you compete against other players to guide them into the safety of your home. Whoever collects the most mice wins. The safety of wind-up prep is gone, though: everything happens all at once, and keeping track of mice, cats, your own arrows and those of your opponent’s is enough to melt your brain. 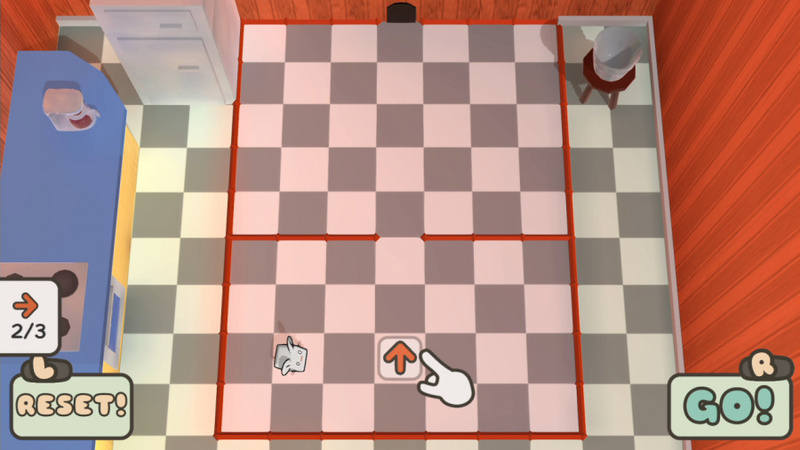 Throw in power-ups like spinning “crazy arrows” and slow motion and, baby, you’ve got a stew going. 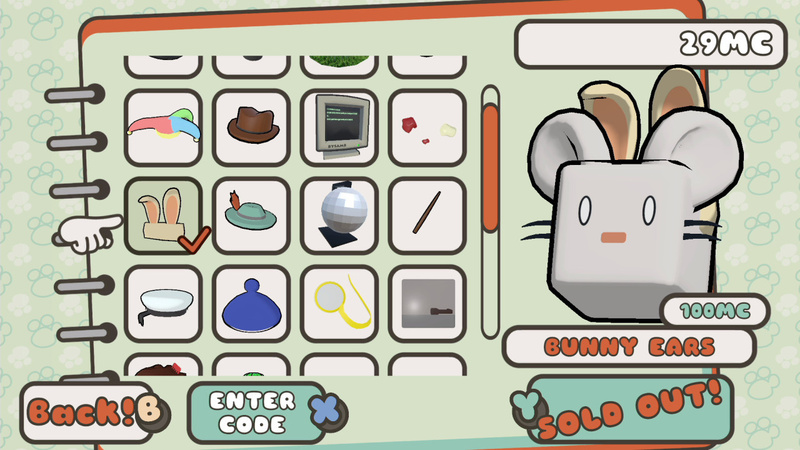 Each mouse rescued in multiplayer counts as a form of currency spent on apparel you can use to dress up your avatar, acting as a little extra incentive to keep playing. Up to four players can go at it locally or online, although every attempt we’ve made to play against strangers since the game’s release ended with us not seeing a soul. Playing against computer opponents does not appear to be an option at this time, which is unfortunate for those who may not have interested friends readily available at all times. The music is enjoyable, if unmemorable, and the in-game graphics could use a round of polish. The art style employs floating pencil-thin lines on the character models that end up looking a bit like Pig-Pen from Peanuts in action (especially in handheld mode). Stages aren’t trying to do too much visually — they don’t need to, really — but the occasional fancy effect, like shadow lighting, adds a nice little flair to the action. Just don’t look too closely at what’s surrounding the playing field. BlobCat strongly models itself after one of the best games to hit the Dreamcast and Game Boy Advance, and since there isn’t really anything else like it out there, anyone willing to squint their eyes might be able to scratch that ChuChu Rocket! itch a little here. A wide-eyed look shows an overall rough package, though — from functional-if-unremarkable visuals to a lack of CPU opponents in the multiplayer suite, all the way down to bizarre inconsistencies with how menus work. BlobCat is here for you if you need it, but doesn’t quite reach the level of the genuine article. Ugh. I love ChuChu Rocket!. What I do not love, however, is companies that completely rip off older games and dump them on a billion game services in order to make a quick buck off of someone else's idea. Discovered ChuChu Rocket on my friends Dreamcast only few years ago. Looks like a nice spiritual sequel. I can still remember my free Chu Chu Rocket arriving in the post. If I remember correctly you got a free copy for filling in an online form through the Dreamcast. It was very likely the first ever online form I ever filled in too. Insult my rubber ducky one more time. Have they made an HD version of original ChuChu Rocket? I mean if that isn't available then this is the next best thing (just my crazy assumption, I haven't played this one). Does anyone wonder if these reviewers get a higher pay if they come up with an pun for the article's tagline? @Everyone_Else: This looks alright. I suppose CCR has more polish(? ), than this does. Still, just because this particular idea is a copycat(pun intended ), does not mean it's inherently bad, or poor. There are many copycats in the video game industry. Always have been. This looks good for what it seems to want to accomplish. I'll have to check out videos, & I may get it, when/if I ever get an NS.